The professional certification of project managers, especially on the Project Management Professional (PMP®) of the Project Management Institute (PMI®) is a fundamental factor for the personal and professional development of these professionals. PMI® is the association of professional project managers, leader in creating professional standards and professional certification. This course is absolutely unheard of in the market. This is a new course based on the extra PMP® Exam Preparation Calendar course we developed at the end of 2016 and which is a 1stOnly Talent® solution, especially aimed at professionals who want to prepare quickly, efficiently and properly for the PMP® exam. 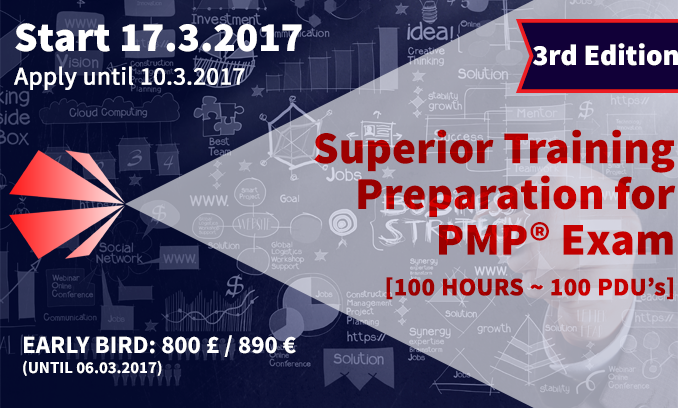 In addition to containing all the topics of the already reputed intensive course of preparation for the PMP® examm this course allows 100% distance participation, since the sessions in London will be transmitted to all the enrolled ones and will be used the new technological platform 1stOnly Talent®‘s, widely tested in the End of 2016, and will allow recording of the course at 100%. Therefore, all participants will be able to participate in all sessions whether they are present in the physical or virtual rooms or for access to recordings. :: Develop skills to use the tools, tools, techniques and knowledge needed to integrate and manage project development teams. > 1stOnly Talent® reserves the right not to start the training at these dates if there are not enough participants. In this case, all payed values will be immediately and fully reimbursed. Trainees should have a computer or similar device with internet connection annd compliable wuth the used platform. The model of pedagogical trainees preparation, in B-learning format, is based on a modular logic that enhances the interventions of each trainee. Throughout 4 face-to-face sessions (4 Saturdays) and 20 pre-recorded sessions in an E-learning format of 3 hours each, the trainee can participate at his own pace by accessing the recordings. The sessions will be held on 18 March, 15 and 29 of April and 6 of May 2017. The first will aim to present and clarify all the principles that will be adopted during the operation, including those related to the platform as well as to address the main concepts of initiation and project planning. In the second face-to-face session, the nine areas of knowledge discussed in the sessions that have been recorded and in the E-learning format will be reviewed and all doubts clarified. In the last face-to-face sessions, the knowledge area related to Integration will be reviewed, with a large space dedicated to discussing and closing the remaining issues. The 20 pre-recorded sessions that will be held between March 21 and April 4 will be held on Tuesdays, Wednesdays and Thursdays, the processes of each area of knowledge of the PMBOK® Guide will be addressed, carried out two exam simulations and the best way to achieve the right answers. The video conference sessions every Friday from the 17th of March to the 5th of May have the objective of reviewing the pre-recorded material, with the presence of one of the 1stOnly Talent® trainers to coordinate the discussion about the week and indicate points of improvement and work. Although it is possible to follow these sessions also through the recordings, we recommend that the trainees have the objective of attending this weekly meeting. Simulated integral realization of the Exam containing 200 type questions and their discussion. He is an independent consultant and trainer at 1stOnly Talent®, specializing in behavioral areas. 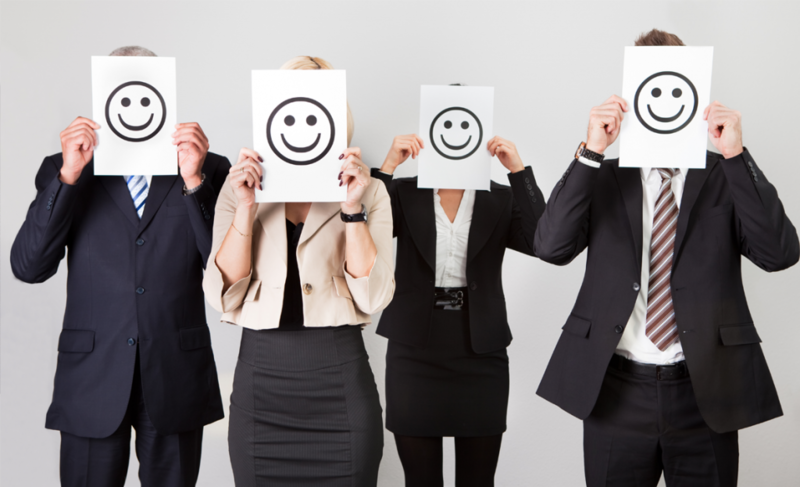 Leadership, Team Motivation, Neuro-Linguistic Programming and all other advanced techniques and human resource management tools are applied and taught by Fernando Torre. With more than 20 years of experience in the management of companies from various sectors, he has held management and administrative positions positions in the financial and administrative areas, is certified by the International School of Professional Coaching as Coach and Coach Trainer and also holds the certification PNL – License Practitioner, awarded by the Society of Neuro-Linguistic Programming. Fernando Torre holds a degree in Economics from the Faculty of Economics of Porto, a post-graduate degree in Taxation from ISAG and a post-graduate degree in Business Administration from the Construction Industry by Porto Business School, the Business School of the University of Porto and is teaching teacher Superior in the Higher Institute of Economics and Management (ISEG) of Lisbon. He is an independent consultant and trainer at 1stOnly Talent®, specializing in organization management and implementation of PMOs, Earned Value (EVM) and organizational maturity of project management. He holds management positions in numerous organizations and is part of the corporate bodies of more than 30 companies and institutions. At the international level, he is one of the special advisors of the Project Management Institute for the area of consulting and for the management of organizational projects. With more than 25 years of professional experience as an entrepreneur, consultant, academic and researcher, he has been a guest instructor in Project Management at several institutions and universities, having been PMP® certified since 2005. He is also certified as a Consultant and Trainer in OPM3 since 2011, by PMI®. José Ângelo Pinto holds a degree in Business Administration, a Master in Information Systems from the University of Minho and a PhD in Economics and Management from the University of La Rioja (Spain), completing the curriculum and the defense of “Tesina”. He is co-director of the Master’s Degree in Project Management at the Escola Superior de Tecnologia e Gestão de Felgueiras, at the Polytechnic Institute of Porto (IPG’s ESTGF), and is a post-graduate lecturer in Project Management at Porto Business School. He is an independent consultant and trainer at 1stOnly Talent®. He has been the administrator of several organizations of information systems and technologies and has specialized in the implementation of management information systems for organizations of all sizes. With more than 15 years of experience in project management, he has acted as consultant and trainer in companies of different areas, particularly in industry and public administration. He is also a teacher in professional education and director of several computer courses. José Miguel Vieira holds a bachelor’s degree in Computer Engineering from the University of Minho, a post-graduate degree in Project Management from ISLA and a PMP® certificate since 2005. He is also Vice President Finance and Marketing at PMI Portugal Chapter.